The service provided from a confined space rescue team makes all the difference in the world when on a job site. It’s hard enough for a superintendent of a jobsite to be in charge of all the day to day activities, planning the job work for workers, reading blueprints and drawings, working with all crafts, and working along with the safety supervisor to safely plan how to complete each day’s job task. Now imagine working on a jobsite that consists of multiple confined spaces, whether they would be permit required or non-permit require, and trying to determine and develop a retrieval plan for each confined space. That is more added time to the project figuring out each plan of each space and not to mention just how efficient the means of retrieval is. Having a confined space rescue team takes away all that time planning because we have trained professional rescuers who can develop all these plans and retrievals that are guaranteed to be more efficient than any engineered or mechanical means of retrieval. Having professional rescue personnel on site is not only beneficial but could save the lives of people in danger. If a worker is overcome by H2S (Hydrogen Sulfide), no personnel shall perform a rescue unless they are trained professionally and have the proper PPE. With a confined space rescue team, you have that trained professional on site and instead of letting that person who is overcome by H2S in fear of losing another person to H2S, you could potentially have a life saved rather than lost. For example, one site recently lost two workers in a confined space accident where the workers were overcome by H2S. and four others were hospitalized from the accident. 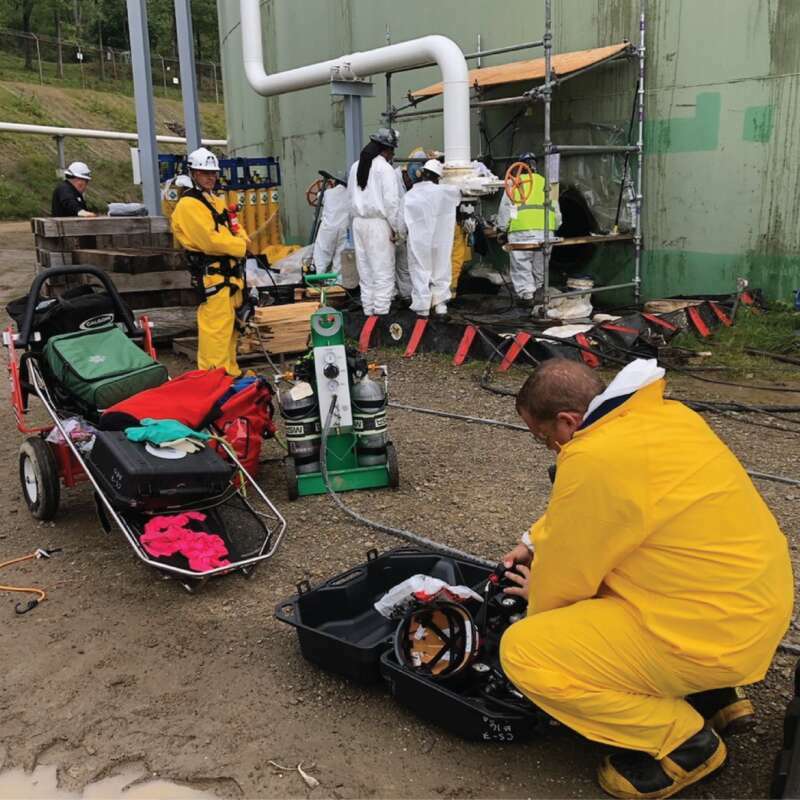 Obviously mistakes were made that resulted in the H2S exposure, however, if they had a confined space rescue team during that instance there is a better chance that a life could have been saved rather than not having a confined space rescue team on site. 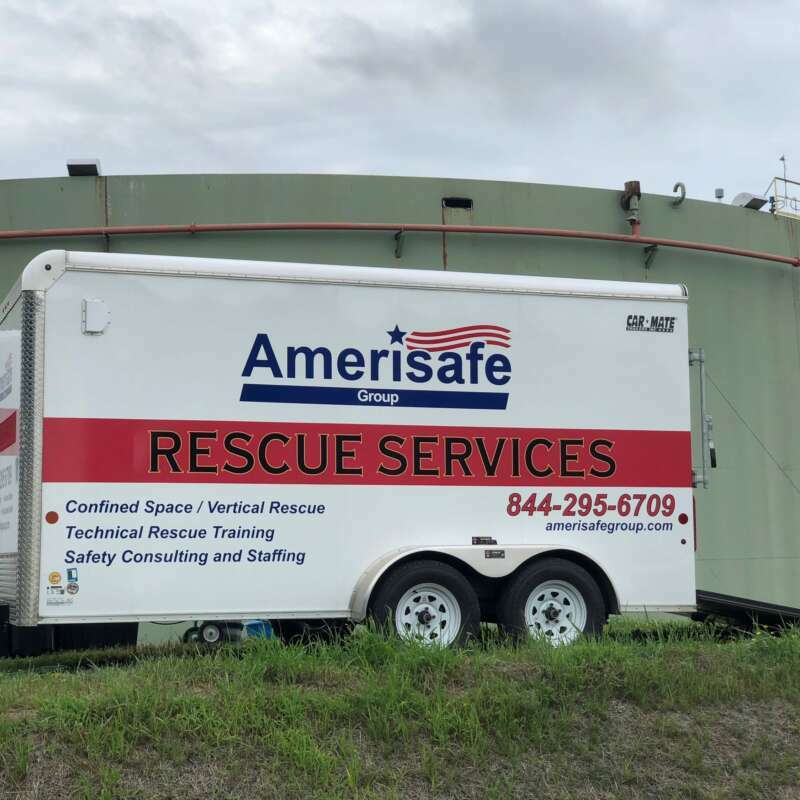 Having a confined space rescue team on site saves the company money that would be spent having to train workers on things that are necessary to work inside a confined space. All workers working inside of a confined space need to be have confined space training but there is additional training required as well. An attendant would need to be trained professionally on how to rescue. If the confined space is permit required due to a hazardous atmosphere, all workers are going to have to be trained on SCBA’s (Self Contained Breathing Apparatus). 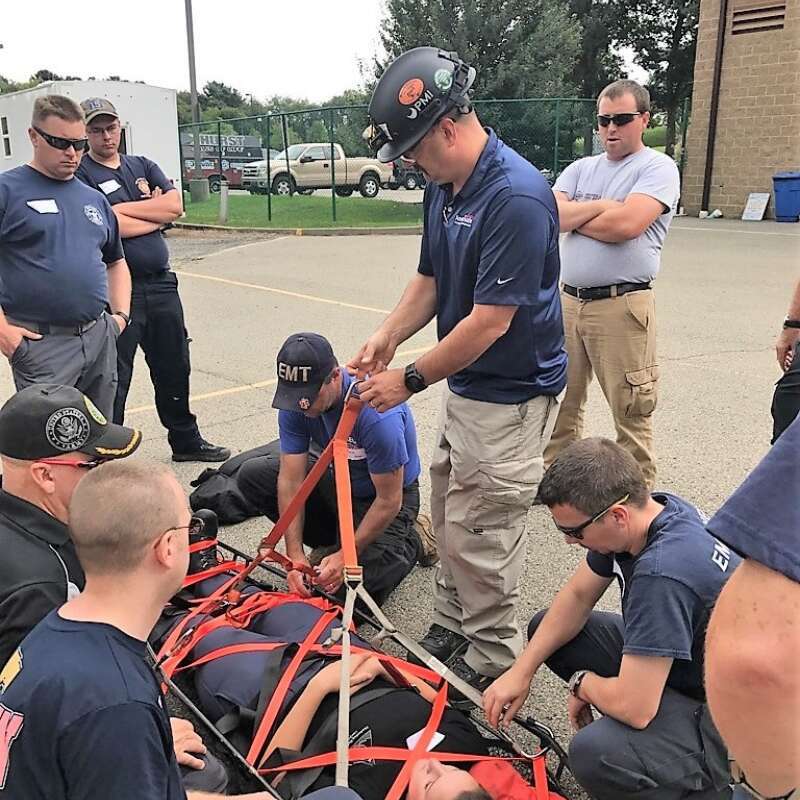 Having that confined space rescue team saves you from doing all that because you will already have trained professional rescuers with all the necessary rescue training certifications. Having a confined space rescue team on site saves the money you would spend on obtaining equipment for working in a confined space because the team comes with all the necessary rescue equipment needed for handling any type of confined space (Permit Required, Non-Permit required, etc.). They will have SCBA’s, Stokes baskets, harnesses, safety devices, etc. This ties in with being convenient however, if ever needed to enter a confined space during an emergency or just have a sudden reason to enter a confined space, having the Confined Space Rescue team on site allows a company to have that flexibility of going into the space rather than being prevented or scramble to figure out a plan of action for a person who has fallen or is injured inside the space. Fall Protection: Suspension Trauma, Are You at Risk?